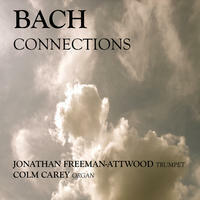 Jonathan Freeman-Attwood and Colm Carey: Dazzling and luminous duo performances of bach. Jonathan Freeman-Attwood is a performer, writer, educator, recording producer and the 15th Principal of the Royal Academy of Music in London. He studied at the University of Toronto and subsequently engaged in research at Christ Church, Oxford. Soon after, he became Dean of Undergraduate Studies at the Academy, where he led a pioneering new degree course in performance studies under the aegis of King's College London. In 1997, he was elected an Honorary Member of the Royal Academy of Music, in 2001 a personal chair in his conferment as a Professor of the University of London, and in 2009 he became a Fellow of King's College London. As a trumpet player, Jonathan has performed and recorded both as a soloist and as a member of various ensembles. 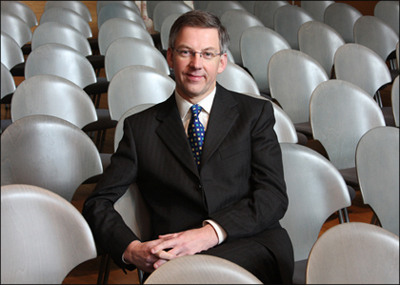 He has attracted plaudits from the press for his solo recordings, which includes a disc sonatas, suites and concertos with organist Iain Simcock (by Albinoni and his contemporaries), available from 2010 on Magnatune as 'Baroque Trumpet and Organ'. With John Wallace, in 2004, he released a disc of works by Rheinberger, Strauss and Elgar entitled 'The Trumpets that Time Forgot' (Linn Records), heralding a series of recordings exploring ways in which the trumpet can, retrospectively, be 'written into' established traditions of mainstream solo and chamber music. The success of 'La Trompette Retrouvée' - in which he plays his re-working of Faure's Violin Sonata No. 2 in E minor - led to the award-winning 'Trumpet Masque' of unusual 17th-century 're-imaginings', described in Metro as 'extraordinary playing switching between fizzy fireworks and tender pathos with ease' and BBC Music Magazine as 'a decidedly unconventional and intelligently produced recital representing modern trumpet-playing and programming at its best'. His career also extends to recording producer for many independent labels. Several of his productions have won major awards, including six Gramophone Awards for Ockeghem's Requiem with the Clerk's Group (ASV), Purcell's Fantazias (Simax) and Gibbons' 6-part Fantasias (AVIE) with Phantasm as well as Vivaldi's 'La Stravaganza' Concertos with Rachel Podger and L'Arte di Suonatore (Channel Classics). He has recorded all Bach's unaccompanied violin music with Podger and the accompanied sonatas with Trevor Pinnock (Channel Classics), the large-scale works of Byrd, Gibbons, Lawes and Jenkins with Phantasm, chamber recordings with Podger, Pinnock and Jonathan Manson, Tallis and Byrd with The Cardinall's Music (Hyperion) and miscellaneous discs for Naxos, Chandos and BIS. He continues to be active as a critic, lecturer and contributor to many publications (most recently, the new Cambridge University Press's 'Companion to Recorded Music'), as well as for The New Grove (2nd edition) and he broadcasts regularly for BBC Radio 3. He is an established authority on Bach interpretation, particularly as it challenges and refocuses historical perspectives on 'performance practices' and - in more pedagogical contexts - how recordings of the past can influence current priorities and tastes. Jonathan also released Sports football betting appSonatas For Trumpet And Organ with Iain Simcock on Magnatune. Colm Carey is one of a handful of distinctive concert organists who has set out to promote the instrument in a fresh way, widening its appeal through imaginative programming and stimulating outreach work. That he has emerged as a respected and acclaimed performer is testimony to his single-minded mission not only to champion the instrument's remarkable breadth of repertoire but also to devise performing and recording projects involving exciting collaborations with other musicians. Born and brought up in Ireland, Colm Carey studied at the Royal Academy of Music in London and the Conservatoire de Musique de Genève. Winning top performing awards with distinction at both institutions, his numerous appearances, both live and recorded, in the UK and Ireland formed the strong foundations for his subsequent solo performances in Europe, Australia, Canada and the USA. Active as a recording artist, Colm Carey has produced a number of solo CDs, and most recently was the featured organist on Paul McCartney's latest classical album, Ecce Cor Meum, which premièred in the Albert Hall in London and the Carnegie Hall in New York. 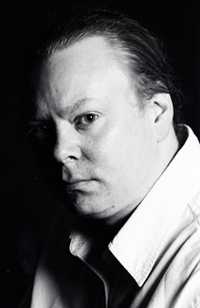 In addition to his freelance career, Colm Carey combines the roles of Belfast City Organist and Master of Music at the Chapels Royal, HM Tower of London. 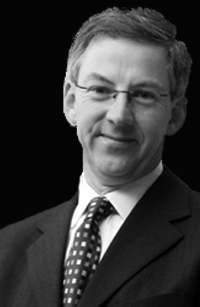 Jonathan Freeman-Attwood and Colm Carey lives in Aylesbury, England. Tagged as: Classical, Chamber Music, Baroque, Instrumental, Composer: Alessandro Marcello, Composer: Dietrich Buxtehude, Composer: Johan Ludwig Krebs, Composer: Johann Sebastian Bach, Composer: Sigfrid Karg-Elert, Organ, Trumpet.